Now you don’t need a splatter guard when you fry bacon! Bakin’ bacon makes the process so simple, and you get perfect, nice & flat strips of bacon just like you get at a restaurant. Plus, no flipping! P.S. When I first started trying to think of blog names, I liked “Bakin’ & Bacon” because it indicated my blog would include both sweet and savory recipes, plus it’s cute & clever, but when I Googled it, it was already taken. Not only that, but Bacon & Bakin’ was taken too. Guess I’m not the only one that loves that name! I also had to nix “My Kitchen Addiction,” and “My Baking Addiction.” But I’m happy with the name I ended up with! And I liked Recipe Rhapsody, my former name, too. Though I can’t take credit for that one, Dennis came up with it! Preheat the oven to 400 degrees. 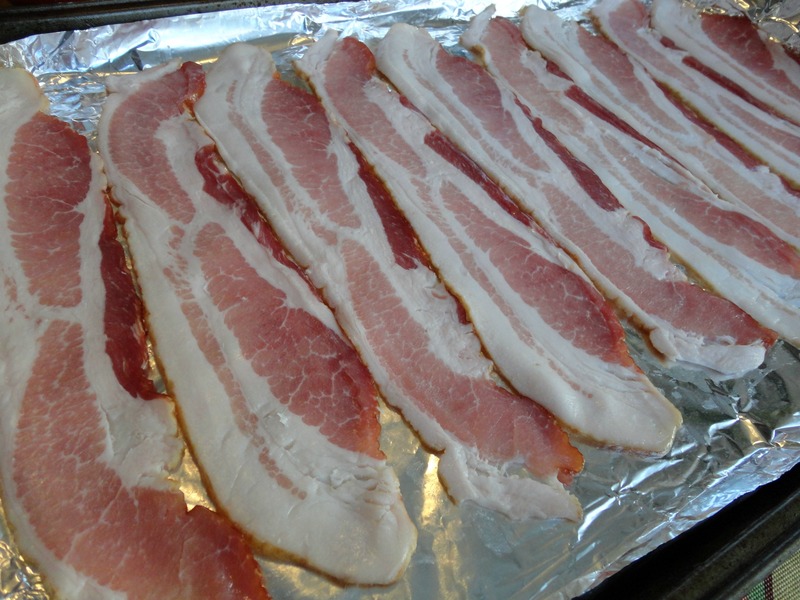 Line 2 rimmed baking sheets with foil or parchment paper, then lay the bacon strips flat, making sure pieces do not overlap. Bake until crisp and browned, 15 to 18 minutes, or to desired doneness, rotating the sheets once. Transfer strips to a paper towel to drain. 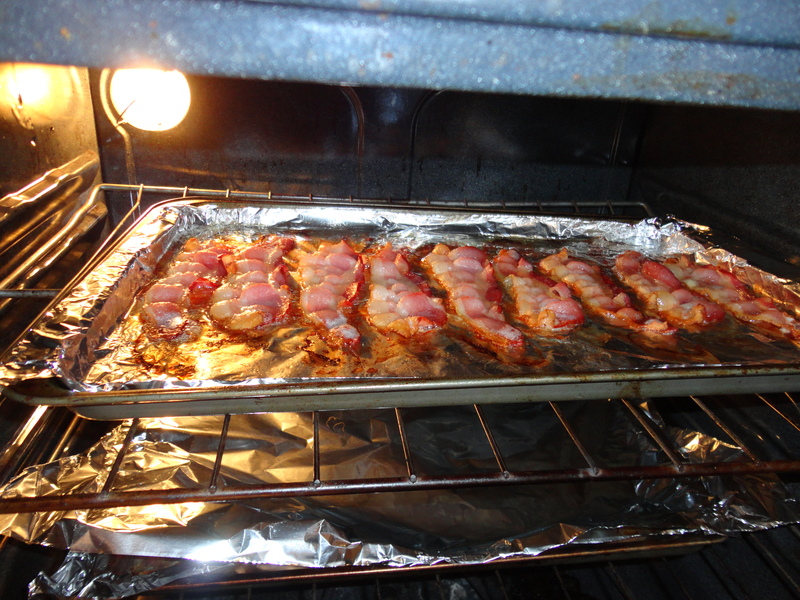 Posted in Breakfast, Meats and tagged bacon, baked, easy, how to make bacon, less mess, recipe. Bookmark the permalink. All six of my kids worked at the local cafe all through junior and senior high school. Baking bacon was often the first thing they had to do on Saturdays. They’d try and make enough for the whole week and then when you ‘ordered’ bacon, it was just heated up in the microwave. It’s marvelous, and unless you actually worked in the kitchen you never knew your bacon was made ahead of time! That’s a great idea! I do it occasionally but usually we eat whatever amount I cook, even if it’s too much! And why am I “JennaJenna” up there? my husband, who is American, bakes instead of frying the bacon as well. I think is a great way to do it. when I was 20 years old (just yesterday, hehe) I worked in the kitchen of a fast-food and the smell of fried bacon stayed with me for months :) never again. Nope, you are ahead of most everyone I think! I heard about it years ago but it takes me forever to try new things. Love it! 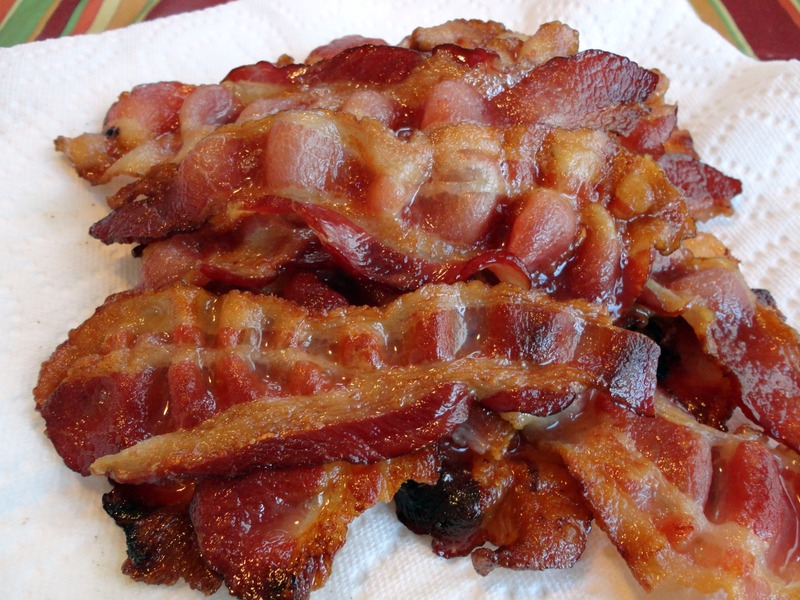 I only bake my bacon…so much easier! This is definitely the way to go! Your photos are great, I’m wanting to reach in my computer and gobble up that bacon! Anyone who thinks this method is no mess has clearly never tried cleaning the stove. We were renting a house and, when we had to move, I went to clean the oven. The bacon had literally coated every inch of the inside. It took me two days to clean it. Someone please invent a rectangular splatter shield for the baking trays. I’ll be first in line to buy. Until then, I’m never baking bacon in the oven again.